Blind Fury by Lynda La Plante. An Anna Travis Mystery. Touchstone Hardcover, July 2011. This intense police procedural isn't all that fast reading, as it frequently mirrors Anna's investigation in that it moves sideways more than forwards. Still, indeed it does progress and the gripping conclusion is built on a strong foundation of suspense. 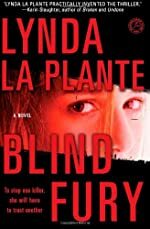 Read the full text of our review at Mysterious Reviews: Blind Fury by Lynda La Plante. A new trailer for Drive, adapted from the 2005 thriller of the same title by crime novelist James Sallis, has been released; we've embedded it below. Ryan Gosling stars as a Hollywood stunt driver by day, a loner by nature, who moonlights as a top-notch getaway driver-for-hire in the criminal underworld. He finds himself a target for some of LA's most dangerous men after agreeing to aid the husband of his beautiful neighbor, Irene (Carey Mulligan). 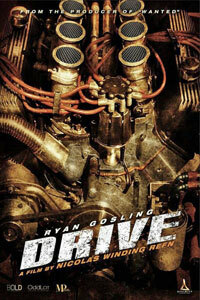 When the job goes dangerously awry, the only way he can keep Irene and her son alive is to do what he does best — drive. The film, which won a Best Director award at this year's Cannes Film Festival for Nicholas Winding Refn, also stars Bryan Cranston, Ron Perlman, Christina Hendricks, Oscar Isaac, and Albert Brooks. It opens in theaters September 16th, 2011. Miss Marple travels to the Hampshire countryside to solve the murder of a dear friend in this well-acted and produced adaptation of a non-Miss Marple novel by Agatha Christie. As a bonus, an earlier made-for-television movie that doesn't include Miss Marple is included in the set, providing an interesting contrast between the two adaptations. 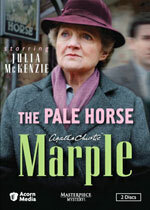 Read the full text of our review at Mr. E. Reviews Agatha Christie: Marple Series 5 (The Pale Horse). Games of Mystery is pleased to announce the availability of new mystery, suspense and thriller adventure and casual games from Big Fish Games released during this past week. You can find out more about these games by visiting our Mystery Games: Big Fish Download Games page or by clicking on the links provided below. A terrifying explosion has destroyed a secret bunker and you have been called in to investigate! Help solve an ancient mystery and capture the culprit before he strikes again! Find clues and work through a tangled chain of events in this exciting adventure game. See also the previous game in this series, Millennium Secrets: Emerald Curse. A group of college students have gone missing from a remote island in the Pacific Ocean. You are called in to rescue them, but nothing is as it seems as the island is haunted by a mysterious evil! Use all your skills to complete hidden object scenes and solve perplexing puzzles as you delve deeper into the island’s sinister secrets. 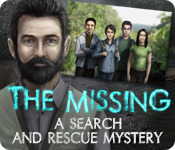 For a more in-depth playing experience, see The Missing: A Search and Rescue Mystery Collector's Edition. Timothy’s father has been kidnapped by the leader of a gang! Find him and discover where a legendary stash of artifacts is hidden by following clues left by the archaeologist. 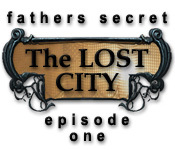 Find an underground city and avoid the traps left behind by the protectors. Use your hidden object skills to survive this epic adventure and discover the mysteries of the world! Explore the Nightingale Theater, which was ravaged by a devastating fire 40 years ago, and uncover a dark mystery! After receiving a letter and a golden ticket in the mail from your grandfather you are off to see an amazing ballet performance. With fantastic graphics and an incredibly mystery, this "macabre mystery" will draw you in to a beautiful world. This is a special Collector's Edition with features not available in the standard edition, including bonus gameplay, an integrated strategy guide, wallpapers, movie gallery, concept art, bonus puzzles, musical soundtrack, and early access. Journey into the mysterious Nightmare Realm and save Emily from an imaginary world that has been taken over by darkness! Explore gorgeous Hidden Object scenes and find helpful items to use as you battle a mysterious creature. Solve perplexing puzzles to unravel a mystery and help Emily escape before time runs out! 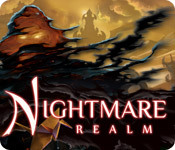 For a more in-depth playing experience, see Nightmare Realm Collector's Edition. Read Ms. Terri's reviews of the adventure and casual mystery games featured on our site, including Midnight Mysteries: The Edgar Allan Poe Conspiracy, Nancy Drew Dossier: Lights, Camera, Curses!, Enlightenus, and many more! This weekend only, Big Fish Games is offering a popular mystery-themed game to new customers for just $2.99. 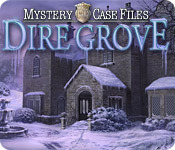 New customers can purchase Mystery Case Files: Dire Grove for just $2.99 by using the coupon code GROVE at checkout. This special price is available only through tomorrow, Sunday July 31st, 2011. Considered a fairytale, the Celtic legend of Dire Grove has been passed down from generation to generation for centuries. Its telling was common at campfires and as a bedtime story meant to frighten small children into staying in their beds through the night. However, a recently unearthed artifact in the United Kingdom corroborates the legend and so begins a journey of survival for a small band of graduate students in the secluded resort of Dire Grove. 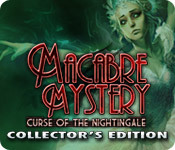 Find the complete list of Mystery Case Files games, including a list of tie-in books written by Jordan Gray, at Games of Mystery: Mystery Case Files. 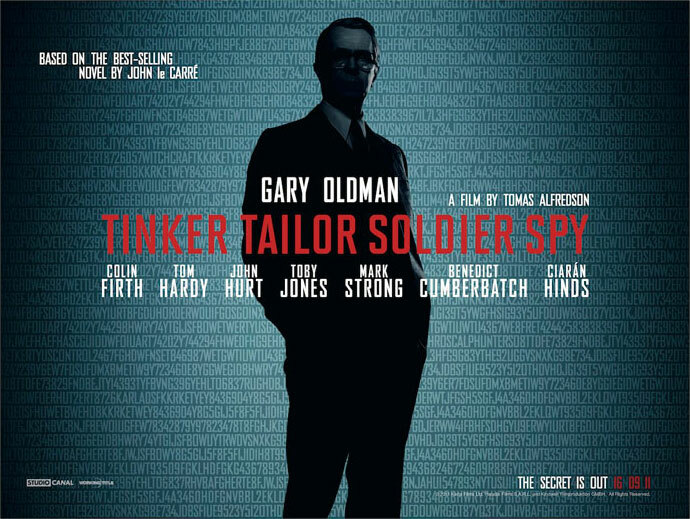 A week or so ago we featured the first international (UK) poster for Tinker Tailor Soldier Spy, adapted from the 1974 cold war spy thriller by John le Carré. The code that provides the background apparently contains several words in addition to the highlighted ones ("A Film by Tomas Alfredson" and "The Secret Is Out 16 09 11"). We've found one — "USControl" or maybe it's just supposed to be "Control", four rows beneath the actors' names on the left — but there are undoubtedly others. The film stars Gary Oldman as retired MI-6 agent George Smiley, who is drawn back into the game when another agent claims that there is a mole within their organization ... and he needs to identify which of his trusted colleagues has betrayed them. 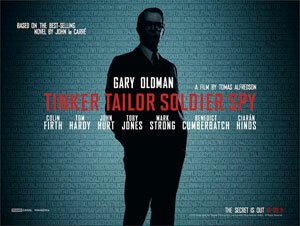 Tinker Tailor Soldier Spy opens in the US November 18th, 2011. Last week, we learned that Bill Pullman has been cast as Rusty Sabich in the first of these movies, Innocent, adapted from the Scott Turow legal thriller of the same title, and set 22 years after the events of Presumed Innocent, a theatrical hit that starred Harrison Ford as Sabich. Innocent is set to premiere this coming November. Today we're learning that John Corbett will star as Savannah cop Duncan Hatcher in an adaptation of Sandra Brown's 2006 thriller Ricochet. Julie Benz co-stars as Elise Laird, who is married to a prominent judge and who supposedly kills an intruder in self-defense. The four other books slated to be adapted are Richard North Patterson’s Silent Witness; Lisa Gardner’s Hide; April Smith’s Good Morning, Killer; and Mary Higgins Clark and Carol Higgins Clark’s Deck the Halls. A list of the top 15 mystery hardcover bestsellers for the week ending July 29th, 2011 has been posted by the Hidden Staircase Mystery Books. There's essentially a three-way tie for the top spot this week, with Janet Evanovich's 17th numbered Stephanie Plum mystery, Smokin' Seventeen, just edging out Now You See Her by James Patterson and Portrait of a Spy by Daniel Silva. One new title enters the top 15. 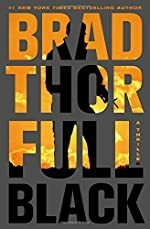 The 10th Scot Harvath action thriller, Full Black by Brad Thor, comes in at number 10. In a press release today, BBC America announced its first scripted television series ... and it's a crime drama. Copper will center on a young Irish cop assigned to the Five Points neighborhood of New York City in the 1860s. He must "navigate the unruly and sometimes violent currents of his immigrant neighborhood, while simultaneously interacting with uptown Manhattan high society and the emerging black community in Harlem." Production on the 10 episode series is expected to begin later this year in Toronto with a premiere date of Summer 2012. We've known for some time that HBO's plans for its short-lived series The No. 1 Ladies' Detective Agency from 2009 did not include renewal for a second season. However, we didn't know until today that the cable network is considering at least two made-for-television movies based on the character of Mma Ramotswe (played by Jill Scott in the series). During this week's Television Critics Association (TCA) press tour, HBO executives stated that they have received scripts that they are considering for the stand-alone films. MystereBooks is pleased to feature Hostage in Havana by Noel Hynd as today's free mystery ebook. We don't know how long it will be offered at this special price (typically only until a certain number of downloads have been completed), so we urge you to download it while it is still available for free. A few days ago we featured this title as a free Nook Book. Today it is now a free Kindle book (though the Nook Book is also still free, so we're providing that link as well). Hostage in Havana is the first book in the "Cuban Trilogy" featuring US Treasury Agent Alexandra LaDuca, who was also the lead protagonist in the author's "Russian Trilogy" of political international thrillers, which was published in 2008/2009. 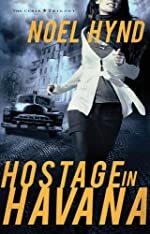 About Hostage in Havana (from the publisher): U.S. Treasury Agent Alexandra LaDuca leaves her Manhattan home on an illegal mission to Cuba that could cost her everything. At stake? Her life ... and the solution to a decades-old mystery, the recovery of a large amount of cash, and the return of an expatriate American fugitive to the United States. After slipping into the country on a small boat, Alex makes her way to Havana. Accompanying her is the attractive but dangerous Paul Guarneri, a Cuban-born exile who lives in the gray areas of the law. Together, they plunge into intrigue and danger in a climate of political repression and organized crime. Without the support of the United States, Alex must navigate Cuban police, saboteurs, pro-Castro security forces, and a formidable network of those loyal to the American underworld. Bullets fly as allies become traitors and enemies become unexpected friends. 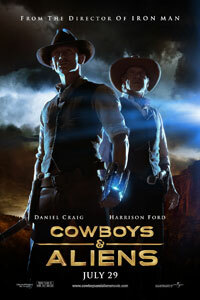 This Friday, July 29th, 2011, the western sci-fi thriller Cowboys & Aliens opens in theaters. Adapted from the graphic novel by Andrew Foley and Fred Van Lente, with artwork by Dennis Calero and Luciano Lima, from a concept by Scott Rosenberg, the film stars Daniel Craig as a stranger with no memory of his past, who stumbles into the hard desert town of Absolution, Arizona Territory. The only hint to his history is a mysterious shackle that encircles one wrist. What he discovers is that the people of Absolution don't welcome strangers, and nobody makes a move on its streets unless ordered to do so by the iron-fisted Colonel Dolarhyde (Harrison Ford). It's a town that lives in fear. Now, the stranger they rejected is their only hope for salvation. As this gunslinger slowly starts to remember who he is and where he's been, he realizes he holds a secret that could give the town a fighting chance against the alien force. With the help of the elusive traveler Ella (Olivia Wilde), he pulls together a posse comprised of former opponents — townsfolk, Dolarhyde and his boys, outlaws and Apache warriors — all in danger of annihilation. United against a common enemy, they will prepare for an epic showdown for survival. No Rest for the Dead by David Baldacci (Introduction). Non-series. Touchstone Hardcover, July 2011. The good news is that there's a terrific story being told in this collaborative effort by 26 popular mystery writers. The less good news is that there doesn't seem to be any point in having all these authors contribute to this book other than as a marketing gimmick as each chapter is written in essentially the same manner, as if by a single writer. 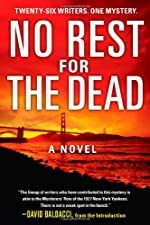 Read the full text of our review at Mysterious Reviews: No Rest for the Dead by David Baldacci (Introduction).